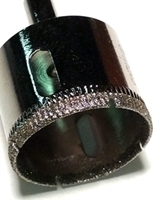 1 - Diamond core drill bit for glass, ceramic, or tile. size = 40mm or 1-9/16", shaft = 1/3". 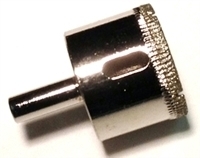 10 -Diamond core drill bit for glass, ceramic, or tile. 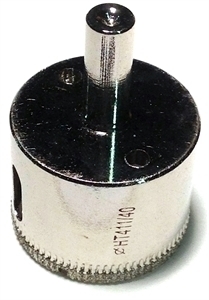 size = 40mm or 1-9/16", shaft = 1/3".